Draft article discussing the St. Bernard case: A Radical Proposal: Does St. Bernard Par. Gov’t v. United States allow the Federal Government to Step Away from Flood Protection and Create Wild Seashores and Wild Rivers? The claims are unfounded because MRGO has no effect on flooding. The area floods because it is very low, at most a few feet above sea level, and it is subsiding as sea level rises, thus the flooding gets higher each year. 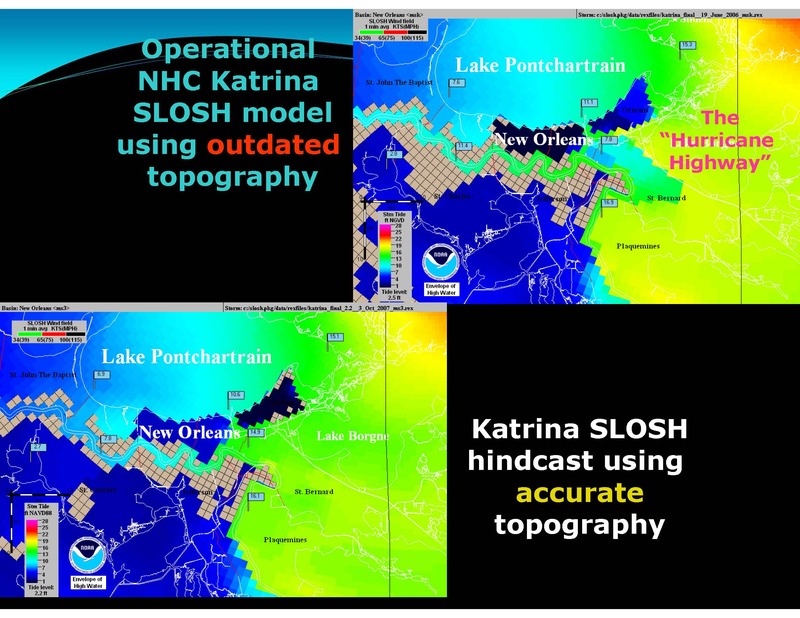 When the surge from Katrina ashore, it had a 20+ foot surge that inundated the entire land mass from the Gulf of Mexico past the MRGO. 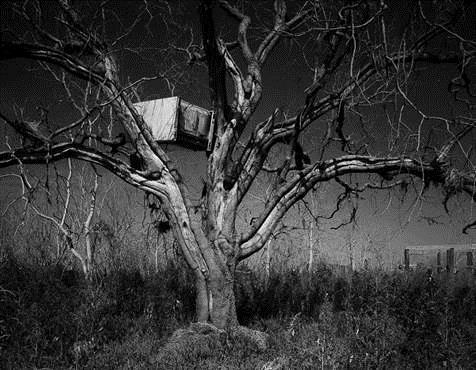 This is an image of a refrigerator in a tree in St. Bernard Parish that is located between the Gulf and MRGO. In the background, the support pillars for a washed away house are visible. It is illustrates the wall of water that washed over everything. St. Bernard Par. Gov’t v. United States, No. 05-1119 L, 2016 BL 143482 (Fed. Cl. May 04, 2016) – opinion assessing damages.